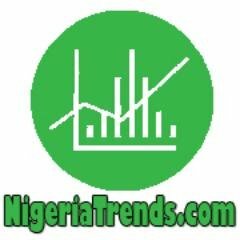 NigeriaTrends.com — President Muhammadu Buhari have signed a currency deal with Chinese President Xi Jinping, in an attempt to strengthen Nigerian Naira and weaken the over-dependence on the US Dollar for foreign trade. Nigerian Naira marries Chinese Yuan ? President Buhari and the Central Bank of Nigeria (CBN) Governor, Mr. Godwin Emefiele moved closer to actualizing their promise to strengthen the naira against the United States dollars by signing a landmark currency deal with the Industrial and Commercial Bank of China Ltd on Tuesday (April 12, 2016) in Beijing, China. The agreement will allow Nigerian traders and businesses, which imports mainly from China to conclude their transactions in the Chinese currency, the Renminbi (Chinese Yuan), instead of the dollar. The new agreement would see Nigeria-China trades, which accounts for over 70 percent of imports into Nigeria, concluded in the Yuan. Nigeria would become the clearinghouse for Yuan denominated transactions for the whole of Africa following the agreement. What’s your reaction to this Nigerian Naira trend?